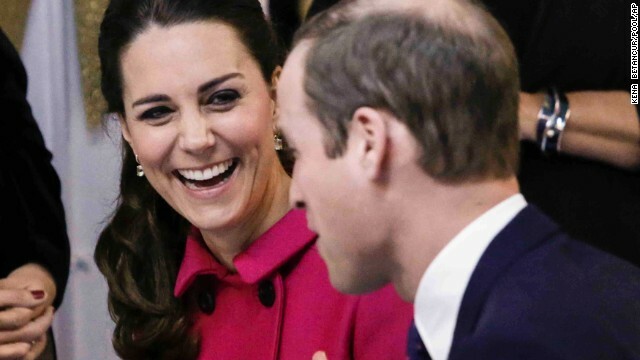 (CNN) -- Prince William and Kate got the royal treatment Monday. 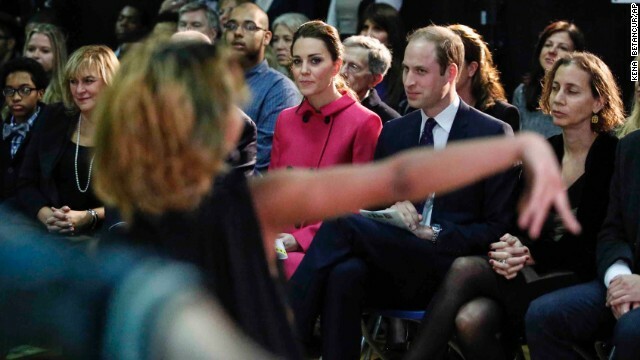 The Duke and Duchess of Cambridge chatted with President Obama and Hillary Clinton, received cheers from people on the street and met Jay-Z, Beyonce and King James -- also known as basketball star LeBron James. They even got a look at American-style protest as demonstrators marched outside Barclays Center in Brooklyn to show their anger about the lack of an indictment in the Eric Garner chokehold death. William and Kate arrived Sunday for a three-day trip, their first to the Big Apple. Reporting from New York, CNN royal correspondent Max Foster said Kate was the star of the show. 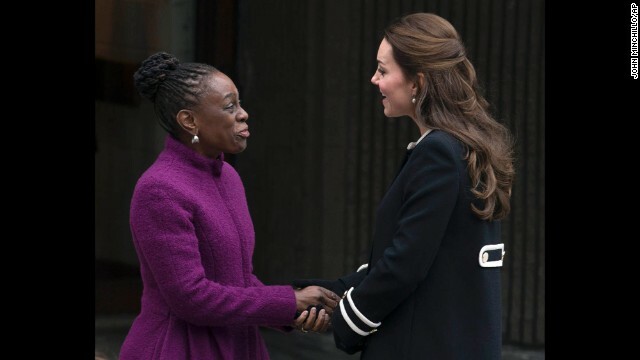 Screams greeted the Duchess of Cambridge when she arrived at a children's craft group in Harlem, greeted by the first lady of New York City, Chirlane McCray, amid tight security. "They were very excited even to see the motorcade, and there is a real buzz around the city today," Foster said. "I think that association with Diana (Prince William's late mother), who used to come to New York a lot -- the biggest star in the world -- and Kate seems to be the closest replacement they have to Diana in this day and age." Inside, Kate looked over some girls making crafts when an adult asked, "Do you know who's coming to visit you today?" "And you know they think you're out of 'Frozen,' " the adult said. Kate laughed. William jetted down to Washington for a quick visit with President Obama at the White House. The two men sat in chairs and tried to chat during a photo op while a swarm of reporters and photographers crowded around them. The visit underscored "the special relationship" between the United States and the United Kingdom, the White House said. William next spoke at a session of the World Bank about the need for an international effort to stop illegal wildlife trading. 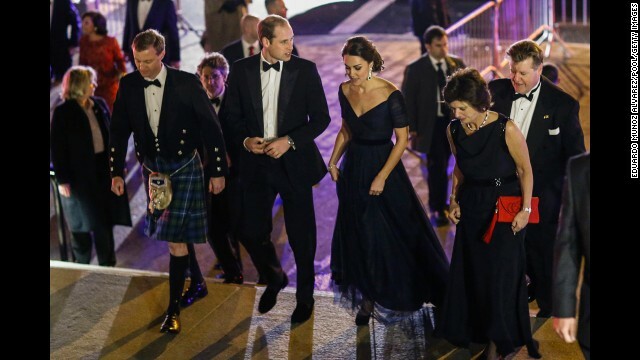 Prince William, Duke of Cambridge, and Catherine, Duchess of Cambridge, arrive at the Metropolitan Museum of Art to attend the St. Andrews University 600th anniversary dinner on Tuesday, December 9. The royal couple visited the United States for three days. The royal couple attend a show presented by the organization The Door and the City Kids Foundation in New York on December 9. The Duchess of Cambridge smiles as she and Prince William visit the The Door and the City Kids Foundation on December 9. 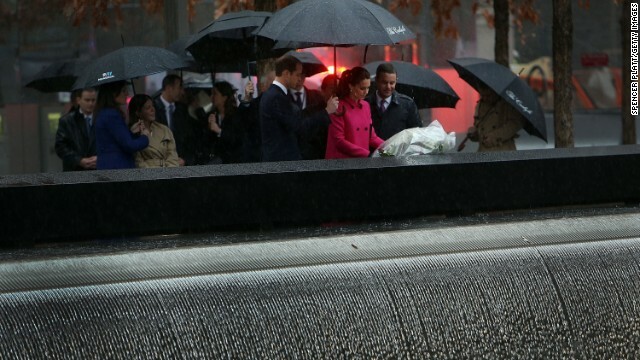 The royal couple lay a wreath at one of the reflecting pools of the National September 11 Memorial and Museum on December 9. 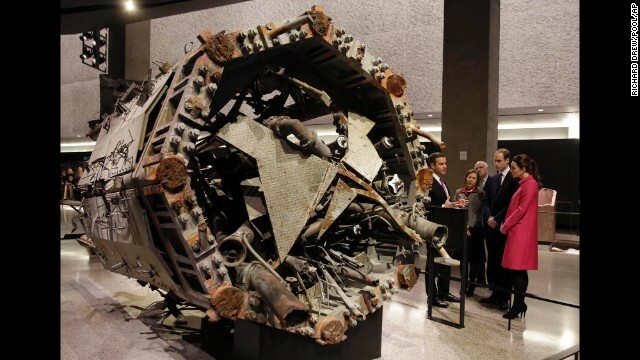 The royal couple tour the National September 11 Memorial & Museum with Joe Daniels, left, president & CEO of the museum, on December 9. 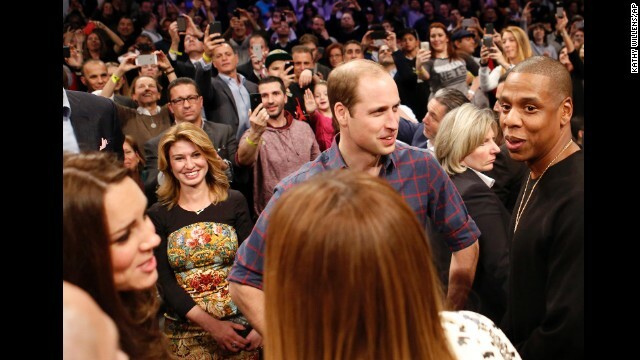 The duke and duchess wave to the crowd while attending an NBA basketball game in Brooklyn, New York, on Monday, December 8. 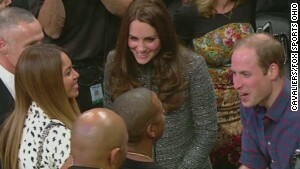 Prince William talks with rapper Jay-Z as Kate chats with singer Beyonce after the basketball game. 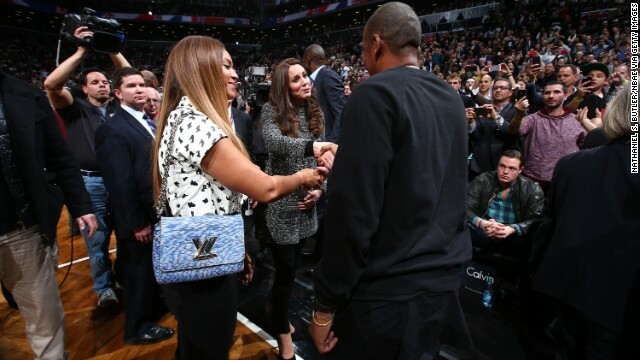 Beyonce and Jay-Z talk with the royal couple after the game. The royal couple poses with basketball star LeBron James after the game. 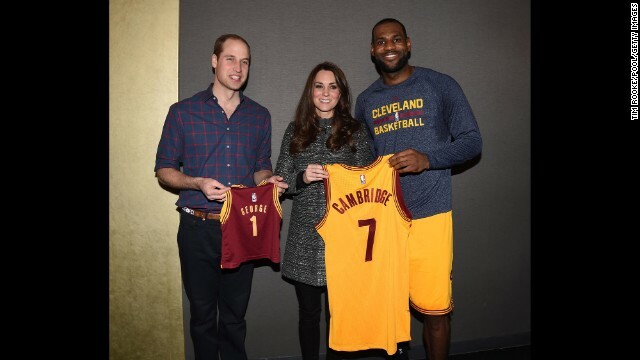 Prince William is holding a jersey made for their son, Prince George. 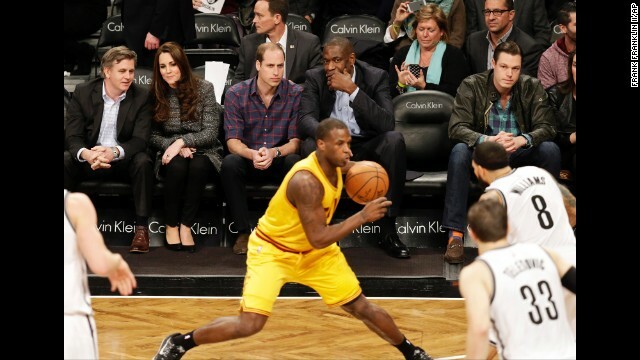 Prince William sits with former NBA star Dikembe Mutombo during the game. 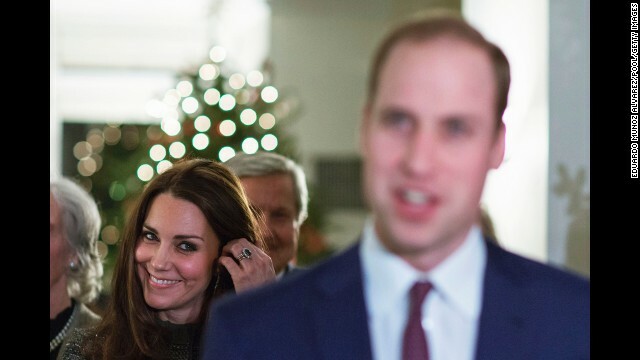 The duchess smiles while she listens to Prince William talk to guests December 8 at a reception in New York co-hosted by the Royal Foundation and the Clinton Foundation. 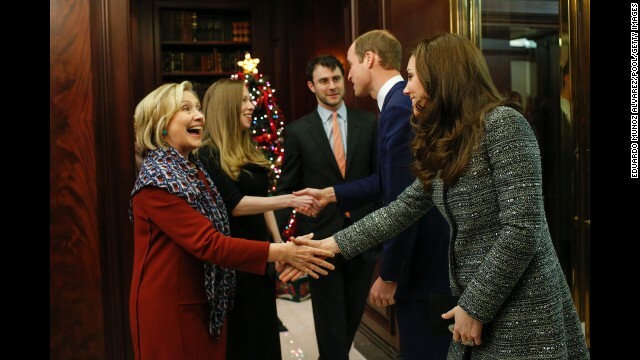 Hillary Clinton, Chelsea Clinton and Chelsea Clinton's husband, Marc Mezvinsky, greet the royal couple at the reception on December 8. Kate sits next to children December 8 during a preschool class at the Northside Center for Childhood Development in New York. Kate wraps presents for children with Chirlane McCray, wife of New York Mayor Bill de Blasio, and other volunteers at the Northside Center on December 8. Kate greets children outside of the Northside Center on December 8. 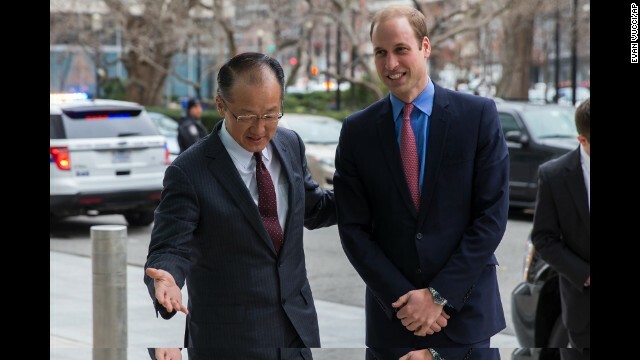 Prince William is greeted by World Bank President Jim Yong Kim before an event December 8 at the World Bank in Washington. 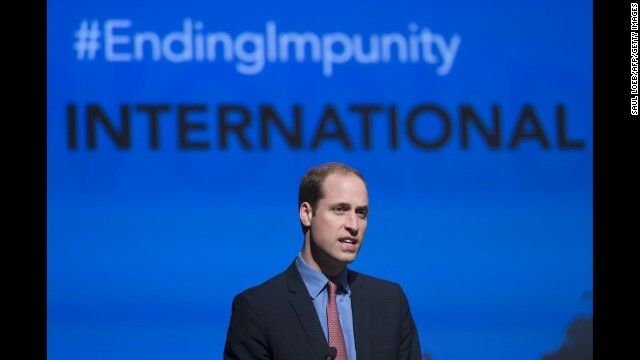 Prince William speaks at the World Bank on December 8. 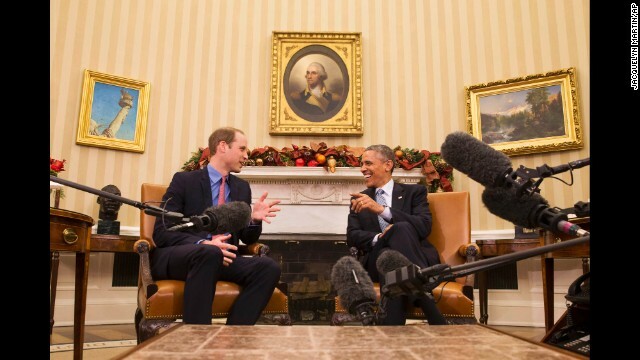 U.S. President Barack Obama laughs with Prince William in the Oval Office of the White House on December 8. McCray shakes hands with Kate outside the Northside Center on December 8. Lauren Nichols, of Chardon, Ohio, huddles in the cold while she waits to see the duchess December 8 in New York. The royal couple arrives at their hotel Sunday, December 7, in New York. Prince George of Cambridge arrives with parents Prince William, Duke of Cambridge, and Catherine, Duchess of Cambridge, for his christening on October 23, 2013. Buckingham Palace announced on Monday, September 8, that a second baby is on the way for the royal couple. The child will become fourth in line to the British throne. Take a look through Queen Elizabeth's family line. 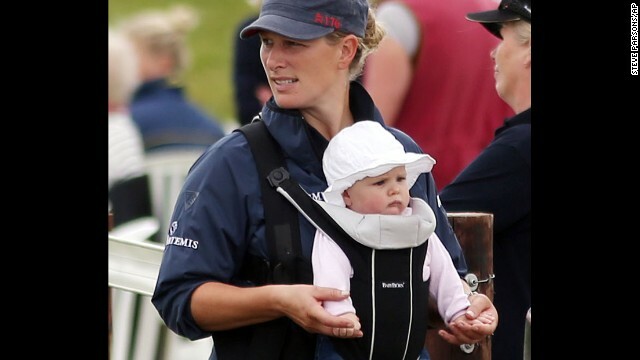 Zara Phillips holds daughter Mia Grace, born in January, during horse race trials in July. Phillips, a granddaughter of Queen Elizabeth II, is the daughter of Princess Anne and a cousin of Princes William and Harry. She is married to rugby player Mike Tindall. 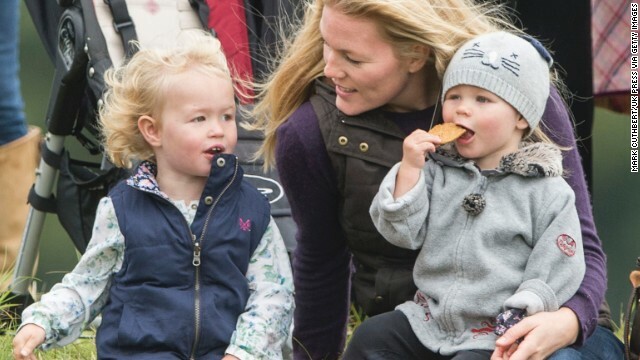 Autumn Phillips, the wife of Peter Phillips, attends the Gatcomb Horse Trials in Minchinhampton, England, with daughters Isla and Savannah in September 2013. Peter Phillips is the oldest grandchild of Queen Elizabeth II and Prince Philip. Prince Edward, Earl of Wessex, and wife Sophie, Countess of Wessex, leave Frimley Park Hospital in Surrey, England, with their second child, James, Viscount Severn, in December 2007. Edward is the youngest son of Queen Elizabeth II and Prince Philip. Prince Edward and Sophie pose with their first child, Lady Louise Windsor, in January 2004. 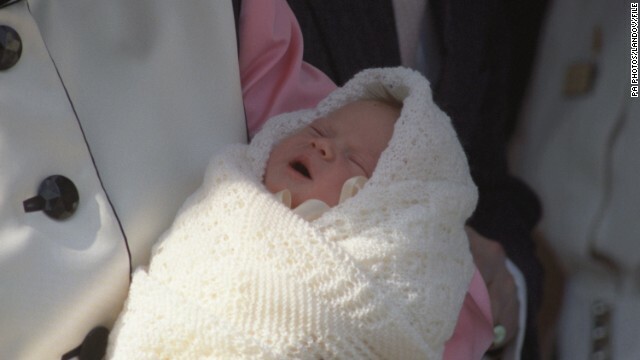 Sarah, Duchess of York, holds 1-week-old Princess Eugenie of York outside London's Portland Hospital in March 1990. She is the daughter of the Duchess of York and Prince Andrew, Duke of York, who is the son of Queen Elizabeth II and Prince Philip. 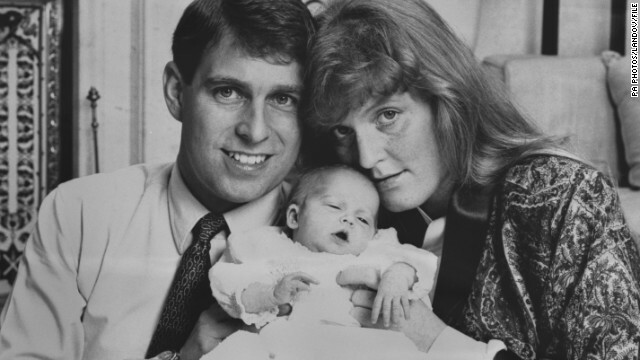 Prince Andrew, Duke of York, and Sarah, Duchess of York, with their 2-week-old daughter Princess Beatrice at Balmoral Castle in Scotland in August 1988. 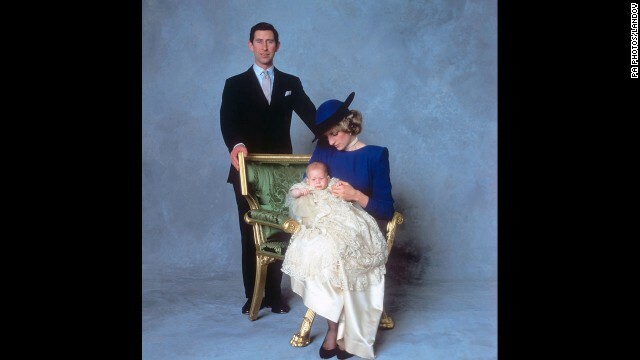 Prince Charles, Princess Diana and 3-month-old Prince Harry at St. George's Chapel in Windsor, England, in December 1984. Charles is the eldest son of Queen Elizabeth II and Prince Philip. 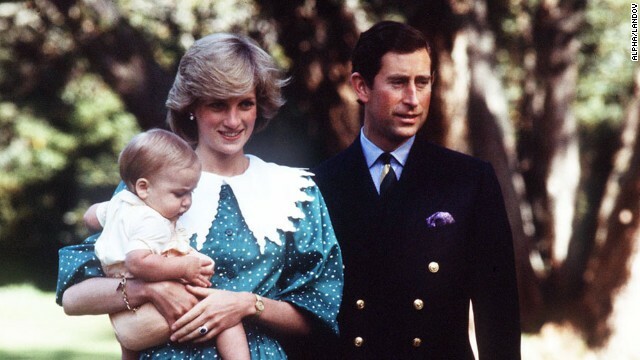 Prince Charles and Princess Diana with their oldest son, Prince William, on a royal tour of Australia in November 1982. 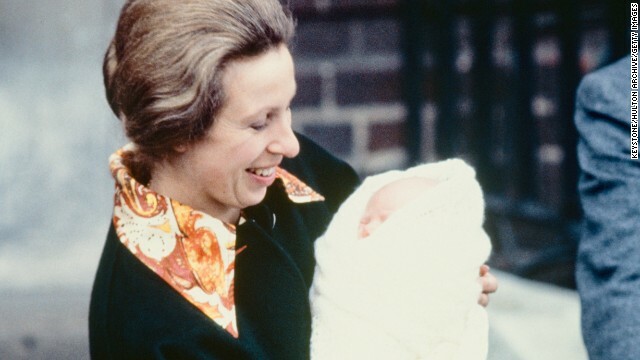 Princess Anne leaves St. Mary's Hospital in London with 3-day-old Zara Phillips in May 1981. Anne is the only daughter of Queen Elizabeth II and Prince Philip. She was married to Mark Phillips from 1973 to 1992. 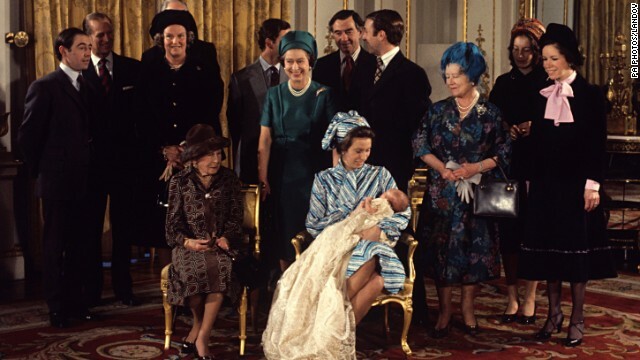 Members of the royal family with Peter Phillips after his christening in December 1977. 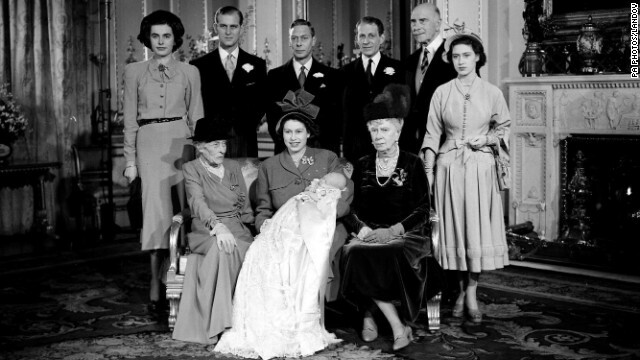 Phillips is the son of Princess Anne, seen holding him, and Capt. Mark Phillips and the grandson of Queen Elizabeth II, center, and Prince Philip. 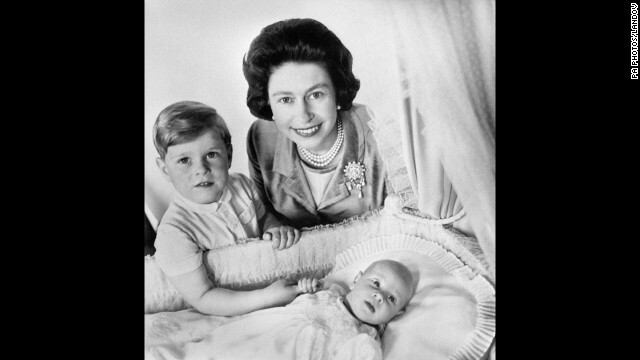 Queen Elizabeth II and Prince Andrew with newborn Prince Edward, the queen's fourth child, in Buckingham Palace's music room in June 1964. Queen Elizabeth II holds newborn Prince Andrew in the music room of Buckingham Palace in March 1960. Prince Charles, from left, Prince Philip and Princess Anne are by her side. 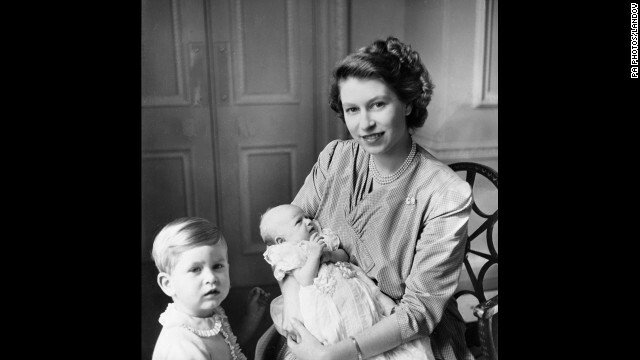 Then-Princess Elizabeth with Prince Charles and newborn Princess Anne in September 1950. 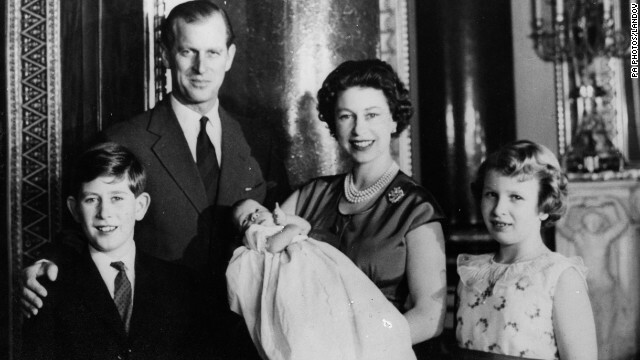 Then-Princess Elizabeth holds son Prince Charles after his christening at Buckingham Palace in December 1948. 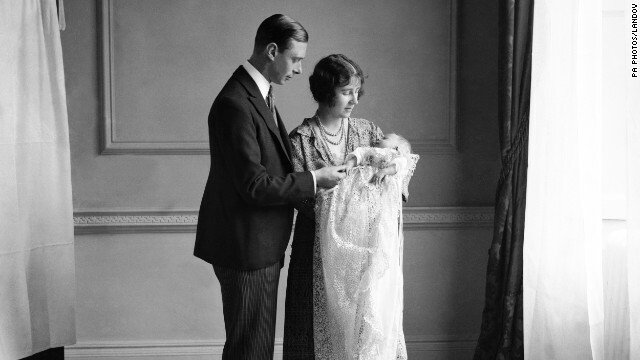 The future King George VI and Queen Mother with their daughter Elizabeth, now queen, at her christening in May 1926. "Cooperation is our greatest weapon against the poachers and traffickers who rely on evading individual national initiatives," he said. "Our collective goal must be to reduce the wildlife trade by making it harder: denying traffickers access to transportation, putting up barriers to their illegal activities and holding people accountable for their actions." William flew back to New York on a U.S. Airways shuttle, first class. One passenger tweeted a photo of the prince looking as if he were searching for a place to stash his carry-on luggage. Another passenger, CNN's Anderson Cooper, tweeted, "Prince William just got on my DC shuttle flight" and "I'm hoping this means an on time departure." It did. 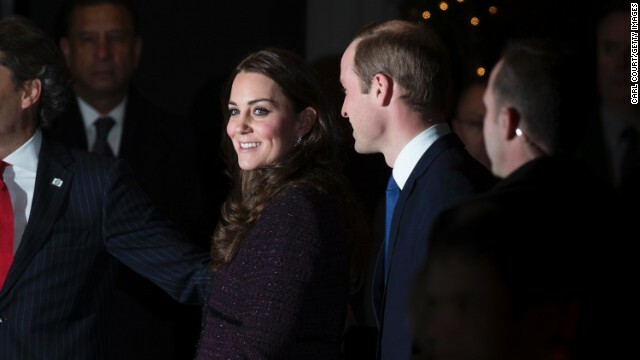 Monday night, William and Kate attended a reception organized by the Royal Foundation in recognition of the conservation work carried out by Tusk Trust and United for Wildlife partners, including the Wildlife Conservation Society, Conservation International and The Nature Conservancy. Hillary Clinton, the former first lady and possible presidential candidate, was there, along with daughter Chelsea. 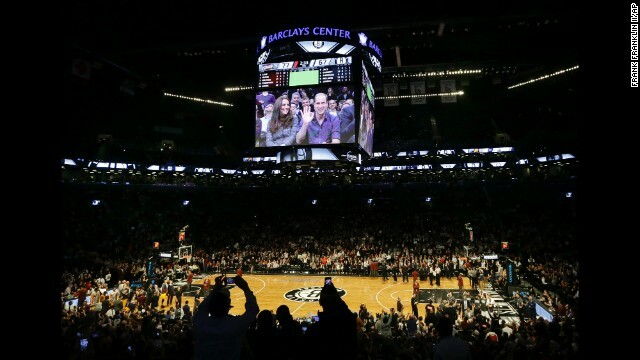 Finally, Kate and William made it to the Barclays Center for a game between the Brooklyn Nets and James' Cleveland Cavaliers. 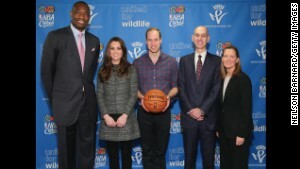 But before the game started, he met with NBA officials Adam Silver and Dikembe Mutombo for a photo op. At the game in Brooklyn, the couple rubbed shoulders with Beyonce -- Queen Bey to her fans -- and her husband, Jay-Z. The celebrity couple used to be part owners of the Brooklyn basketball team. The Cavaliers won the game, and afterward, James presented the couple with Cleveland Cavaliers basketball jerseys with the names "Cambridge" and "George" -- for their kid -- on the back. Kate didn't say if this was the kind of thing she'd wear around the palace. James also gave the couple cupcakes from his hometown and then appeared to joke with William about the size of their feet. He asked William what his shoe size is and the prince quipped back: "Half the size of yours." The princess, who is pregnant with the couple's second child, has battled acute morning sickness in recent months, and has had to cancel some events. One person had to miss the trip. 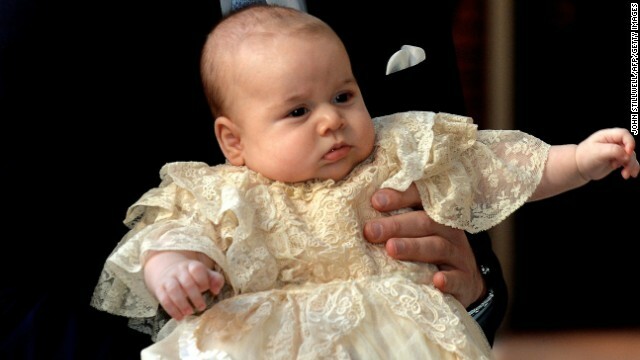 The couple's chubby-cheeked toddler, Prince George, stayed home in England. CNN's Mariano Castillo contributed to this report.